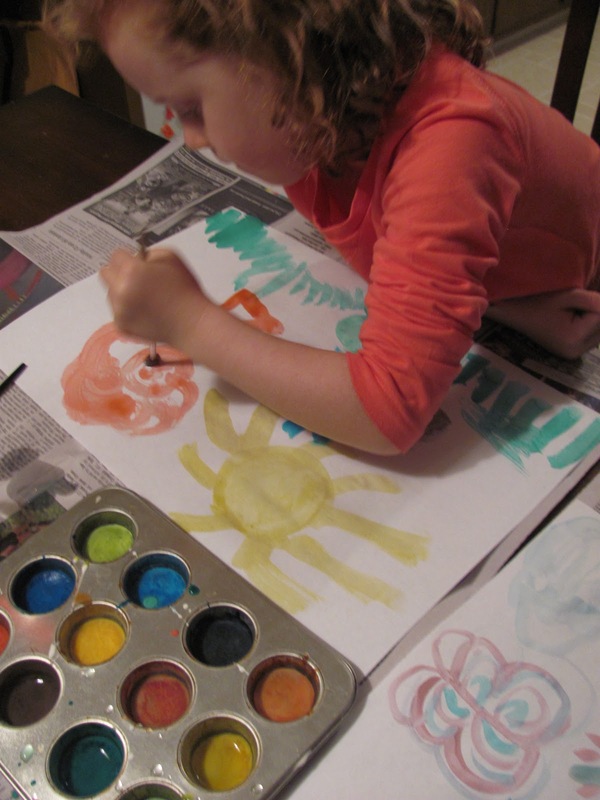 For the longest time I've been wanting to make these DIY Watercolors with my daughter and we finally got around to it and I'm sure glad we did! We got the recipe from one of my favorite blogs: Happy Hooligans....do check this blog out for all kinds of kid friendly ideas. You can find Happy Hooligan's great tutorial on Homemade Watercolors here. 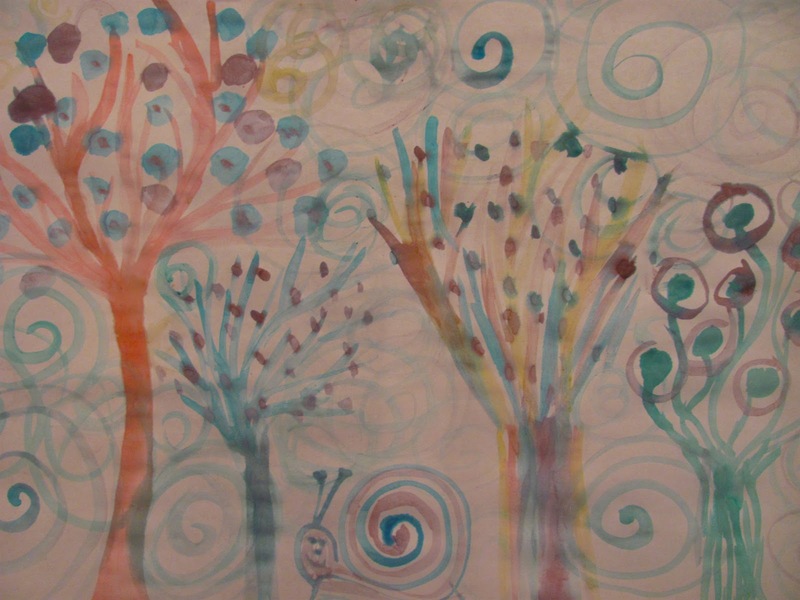 Keep reading to find out our results of these watercolors and the beautiful paintings we created! First, mix all all the ingredients together (except for the food coloring) in a big glass measuring cup and pour this mixture into your mini muffin tins or ice cube trays. I filled them about 1/4 inch full. Then, add a few drops of food coloring to each section. Use a toothpick to mix each individual color. Wait about a day for the watercolors to dry. When using the paint add water just like you would with a watercolor set you would buy in the store. 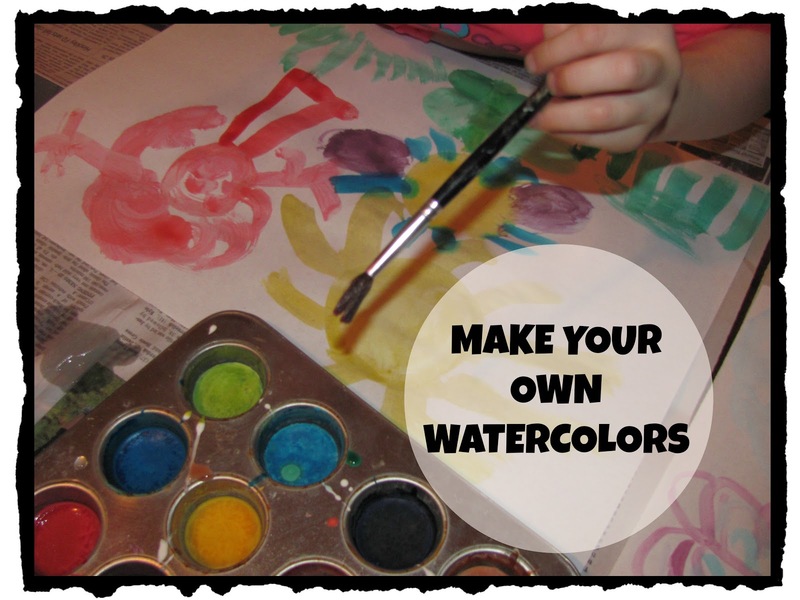 Hope you have fun making and painting with these DIY Watercolors! This is awesome! 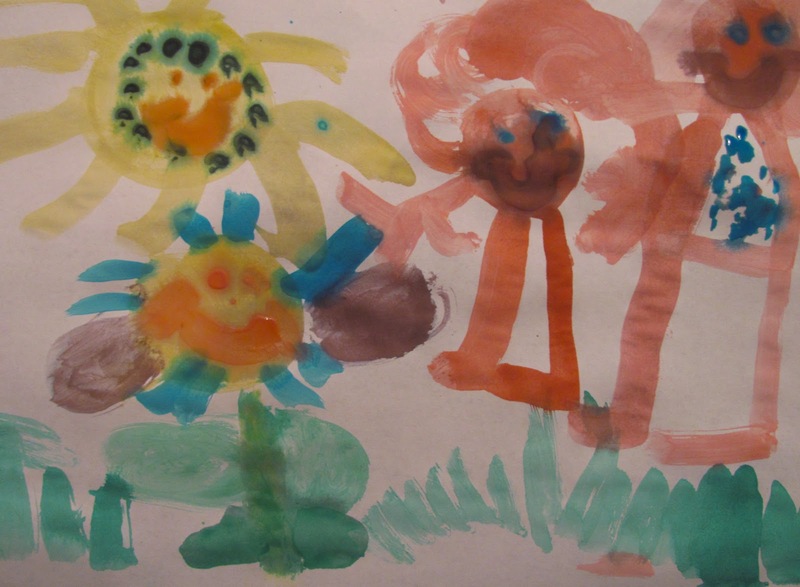 So good and children would love to create water colors themselves, great activity.